This week, U.S. lawmakers again introduced legislation that would put an end to the federal prohibition of cannabis, allowing states to decide on their own marijuana policies without the risk of federal interference. The law in question, dubbed The Marijuana Justice Act, was introduced by Rep. Barbara Lee (D-CA) and Sen. Cory Booker (D-NJ), garnering 43 co-sponsors in the House and six others in the Senate in the last session. It is, to date, the “most far-reaching and comprehensive cannabis policy reform legislation being considered in Congress,” explained Morgan Fox, Media Relations Director for the National Cannabis Industry Association. The Marijuana Justice Act would remove cannabis from the Controlled Substances Act schedule and put an end to federal criminal penalties for possession, cultivation, manufacturing, importing and exporting of marijuana. On the markets front, Canopy Growth Corp (NYSE: CGC) and Sequential Brands Group, Inc. (NASDAQ: SQBG) announced a deal to work on a line of CBD products in partnership with renowned entrepreneur and TV personality Martha Stewart, who will also take an advisory role at Canopy Growth. CannTrust Holdings Inc (NYSE: CTST) started trading on the NYSE. Rock legend David Crosby said he’s asking for $5 million to license his name to a cannabis company. On Friday, we learned Donald Stewart left his executive director position at Morgan Stanley (NYSE: MS) to take a job as CFO of Vinzan International Inc., a Toronto-based cannabis trading company. On Thursday, we announced CB2 Insights, a global provider of predictive analytics tools, data-driven software and other services across the medical marijuana value chain, will begin trading on the Canadian Securities Exchange March 6 via a reverse takeover. It will trade under the ticker "CBII." Check out our interview with CEO Prad Sekar. Over the last five trading days, the Horizons Marijuana Life Sciences Index ETF (OTC: HMLSF) (TSE:HMMJ) gained 3.25 percent, while the ETFMG Alternative Harvest ETF (NYSE: MJ) rose roughly 1.5 percent. The SPDR S&P 500 ETF Trust (NYSE: SPY) closed the period up almost 0.5 percent. Covalent Collective, a network of cannabis-centric enterprises, announced the completion of its first acquisition, internally referred to as the “Colorado 16”, which includes ownership of the real estate that leases multiple medical marijuana cultivations, production and a total of five Colorado medical cannabis dispensaries. Terms of the transaction weren't disclosed. SOL Global Investments Corp (OTC: SOLCF) released its quarterly earnings report, among other things highlighting the company’s recent U.S. and European cannabis investments. Earlier this year, SOL struck a strategic partnership with Dublin-based GreenLight Pharmaceuticals, a leader in European medical cannabis research. Not included in Friday’s quarterly release was SOL Global’s recent formation of a wholly owned hemp and CBD-focused subsidiary, called Heavenly Rx. Heavenly will be the company’s launchpad for investments in the THC-free cannabinoid and hemp space. Heavenly announced its first investment this week, in the Knoxville, Tennessee-based hemp processing and extraction company Bluhen Botanicals. The U.S. Hemp Authority announced the first 13 companies to earn its Certified Seal for safety and quality. As the marketplace for hemp-derived products, especially CBD continues to grow rapidly, more and more products are just not delivering what they promise. This program, the product of nearly two years of dialogue and input from around the industry, offers a way for responsible growers and processors to denote their commitment to quality and transparency. The third-party certification program provides certainty for consumers, regulators and law enforcement that the industry is ready to help ensure that these products are safe and reliable. Included in the first cohort was publicly traded CV Sciences Inc (OTC: CVSI). Helix TCS, Inc. (OTC: HLIX) announced the former President of Mexico, Vicente Fox Quesada, will join their Board of Directors as a strategic advisor as they pursue further expansion into the international cannabis market. Fox serves on the Board of Directors for High Times and cannabis producer Khiron Life Sciences, and is a respected advocate of medical cannabis legalization throughout Latin America. True Leaf Medicine International Ltd. (CSE:MJ) (OTC: TRLFF), a global cannabis and hemp wellness brand for pets, reported the company’s third consecutive quarter of record sales with its best sales quarter ever for the three-months ended Dec. 31. Third-quarter growth increased 145 percent year over year to a total of $652,370 (CAD) for the quarter. Revenue for the nine-months ended Dec. 31, was $1,715,775 – the company’s highest revenue over three quarters to date. “This record revenue growth is generated from the global sales of our legal hemp-based pet supplements,” said Darcy Bomford, Founder and CEO of True Leaf. “It's further evidence that cannabis-for-pets has gained worldwide popularity – and we’re not slowing down. True Leaf will unveil a whole new look and feel for the brand next month, based on knowledge learned from consumer and industry research the company undertook last year. 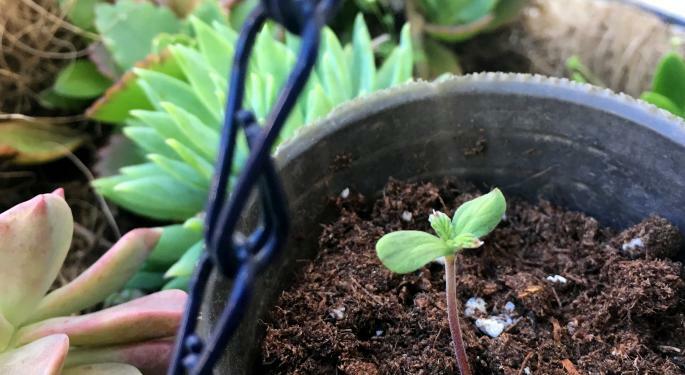 The American Psychological Association sent a letter to Attorney General William Barr asking that the government speed up the review of more than two dozen license applications for cultivation of cannabis for research purposes. MedMen released second-quarter results that included a 39.1-percent quarter-over-quarter revenue gain to $29.9 million. GW Pharmaceuticals reported its financial results for the first quarter of fiscal 2019. The company posted revenue growth of 67.5 percent. The report includes sales of the company's Epidiolex drug, which last year became the first cannabis-based drug approved by the Food and Drug Administration. Sales began in November. Jennifer Romolini was named the first Editor In Chief of cannabisMD, the soon to be relaunched consumer education platform focusing on the potential health and wellness benefits of CBD and medical cannabis. Romolini will oversee all editorial operations for the site, including the creation of the site’s overall look and feel, manage the editorial team, and grow the site’s medical advisory roster. 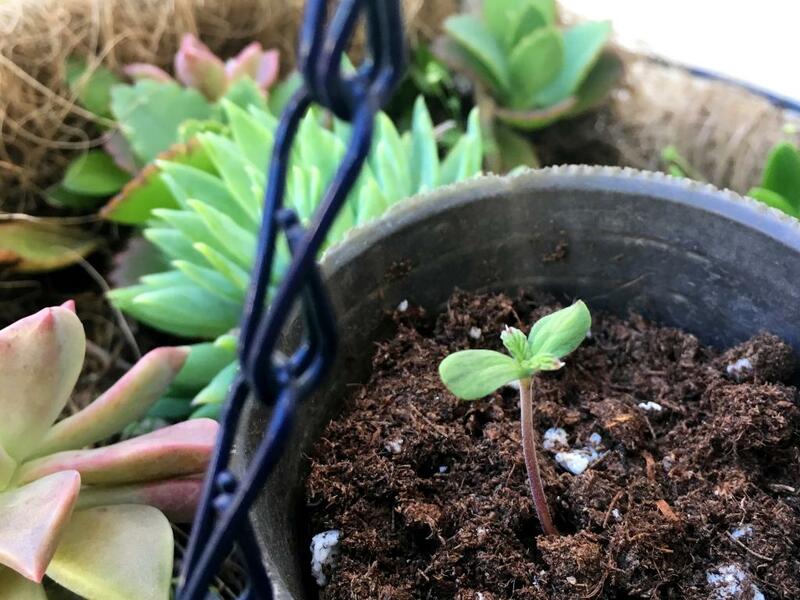 Arcadia Biosciences Inc (NASDAQ: RKDA), an agricultural food ingredient company and leader in leveraging advanced, proprietary breeding techniques to improve the quality and nutritional content of wheat and soybeans, announced the company will apply its expertise to a new crop: cannabis. Canopy Rivers Inc (OTC: CNPOF) announced third-quarter results. The firm has made 14 investments to date, deployed $55 million in capital in the quarter and announced the closure of its bought deal co-led by CIBC Capital Markets and Eight Capital with a syndicate including three Schedule 1 banks. With a $120 million war chest now at its disposal, Canopy Rivers will be actively looking to make new domestic and international investments, and follow on investments in existing portfolio companies. “We are well capitalized, have a strong and growing investment portfolio and a clear vision for where this industry heading. We are ready to act aggressively to advance our position as the cannabis industry’s premier public venture capital company,” said Narbe Alexandrian, President, Canopy Rivers. At the launch of their new headquarters, Cape Town-based precision agriculture company Aerobotics announced it expanded its Series A funding round from $2 million to $4 million, bringing its total fundraising to $4.6 million. Therabis, the pet wellness subsidiary of Dixie Brands (OTC: DXBRF), announced the first-ever hemp-based cat treat to enter the domestic feline industry will debut in April. The cat treat market is estimated at approximately $2 billion. Rare cannabis formulation Doug’s Varin, which contains the highest concentrations of THCV available, hit the marketplace, for sale through SPARC’s five dispensaries in northern California. California Cannabinoids CEO David Lampach, the producer of Doug’s Varin said, “The market is hungry for access to this rare but promising cannabinoid. There is high demand for THCV, but until now there have been virtually no products. From a market perspective, I view the long-awaited release of Doug’s Varin to be just the tip of the iceberg." Culture-conscious brand consultancy IN GOOD CO has teamed with Saving Faces co-founder Jenny Evans to create a high-end, pure, CBD-infused line of skincare products called BeautyGrass. As the cannabis industry continues to grow, so does the demand for jobs in the United States. HempStaff, a leader in recruiting in the cannabis and hemp industries announced the launch of the HempStaff Affiliate Program. The program is designed to help consultants and businesses earn additional revenue by helping place skilled employees in the cannabis industry. When a new employee is placed, the commission is $1,000 for a management position and $500 for entry-level or hourly positions. “This program is designed to become an additional revenue stream for all those consultants and ancillary cannabis businesses who spend time "helping" their cannabis industry clients with recruiting information but don't get paid for any of that kindness. As an affiliate, if you refer any of your clients to our recruitment services for job placement and they hire one of our candidates, you get paid,” said HempStaff President, Rosie Yagielo. Scientists at UC Berkley managed to obtain THC and CBD from yeast. Cowen issued a report saying the CBD market could represent a $16 billion opportunity by 2025. A study conducted by the University of New Mexico in partnership with Releaf App revealed patients find more relief on cannabis' THC than in CBD. Published by Root Engineers, "Sustainable Cannabis Grow Room Design" analyzes data comparing equipment costs from the upfront, long-term, and payback perspectives. As the cannabis industry continues to mature and businesses become larger and more competitive, cultivation operations can incorporate efficient and sustainable practices that will impact profit margins when it comes to equipment selection. The world’s largest cannabis dispensary and entertainment complex, Planet 13, started construction on its Phase-2 expansion and will be adding a bistro/pizzeria and coffee shop to its massive 112,000 sq-ft facility. Planet 13 is the first dispensary to “go big” with entertainment and food offerings making it a destination rather than just a place to buy product. The bistro/pizzeria will be operated by award-winning Arizona restaurant and craft brewery chain Rickety Cricket. The coffee shop will be operated under the name Purc Coffee, “Coffee for the Planet,” and will be a greenhouse concept, completely unique in Las Vegas. Here are some other interesting cannabis-related stories from this week. Feature of the week, by Andrew Ward: 'A Watershed Year': Why Cannabis Policies Matter More Than Ever For 2020 Presidential Hopefuls. April 8–10: Cannabis Science Conference will host its first east coast event at the Baltimore Convention Center in Baltimore, Maryland. The Cannabis Science Conference, organized by CSC Events, LLC, will feature television icons and cannabis advocates, Montel Williams and Ricki Lake, along with over 75 expert presenters. May 28 – June 1: The Cons is a gathering of three trade and fan shows, the Cam Con, the Cannabis Con, and the Inked Con, all under one roof, at the SLS South Beach Hotel in Miami Beach, Florida. The Cons 2019 will offer a variety of seminars with top industry panelist, networking parties and performance displays to benefit the industry’s content providers, models and affiliates. While these industries have differences, in many ways they overlap.